Considered one of the best known and most consumed fruits worldwide, oranges come from the sweet orange tree, the most cultivated of all citrus trees. It is known a wide variety of this fruit, so it is possible to access them throughout the year and you can observe variations in size, juiciness and form of cultivation, adaptable to all tastes. They begin to flower at the beginning of spring and their ripening time is in mid-autumn and early summer, being the best time for harvest. Round and flattened shape in both poles. Orange peel, white flesh that surrounds the juice, also orange. Most are small in size with diameters between 6-10 centimeters. Their skin can be smooth or thick depending on the type of orange it is. The internal pulp will always have a spongy texture. Its flavor is sweet with some acid touches, which can be more or less strong according to the type of orange. In the orange juice are concentrated a series of vitamins that help the proper functioning of your health. In fact, it is widely used in the production of homemade juices and by industries dedicated to food marketing, but what are the best juice oranges? Look at some of their characteristics! They must be at their best point of ripeness, with a harvest always fresh. In this way, the fruit will contain more juice. They have a thinner peel, making them a little more difficult to peel. Small size, which makes it easier to put them in the juicer. They have no preservatives or colorants. They are very sweet and juicy. Their colour is usually more yellow than the regular ones. 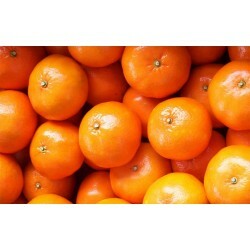 If you wish to acquire this type of oranges, to take advantage of the juice, in Naranjass.com we offer you an exquisite variety with the necessary care so that they are always fresh and in the exact point of maturation. Table Oranges Just picked from the tree! You've probably heard the term "table oranges" and wondered what it's all about. Well, these are the most common ones, the ones you eat regularly as a dessert or snack at any time of the day. Larger size, which helps make the work of peeling them easier. Their shell or skin is thicker. They have less juice, making it easier to consume. Their taste is considered balanced, as they contain a mixture between sweet and bitter. 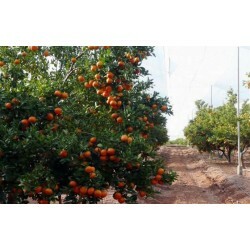 Thanks to the climate of the province of Valencia, you can find oranges throughout the year, so in Naranjass.com we take care of orders online and we send you the one of your preference. The orchards begin to bloom during the spring, and according to the type of orange its maturation takes place between autumn and summer. 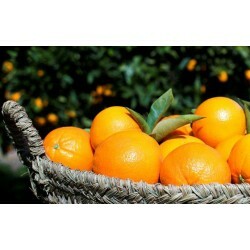 Navelina Orange: Medium size, intense color, juicy pulp and do not contain seeds. 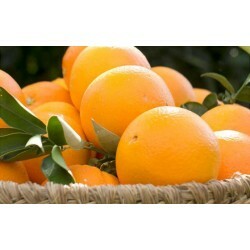 Salustiana Orange: Very sweet and has a large amount of juice. Navel orange lane late: Small size and thin skin, ideal for juice! Navel orange beats: Pale, this type of orange is smaller than the previous one, thin rind and elongated shape. 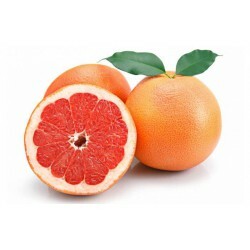 Orange valencia beats: It is of medium size with a thin and smooth crust. It preserves a good part of its juice, with a slightly acid taste and good aroma. It is the orange that takes the longest to cultivate. Orange Sanguina: It is characterized by its reddish pigments both in the flesh and skin, tone acquired during the fall or winter, as it occurs in low temperatures. 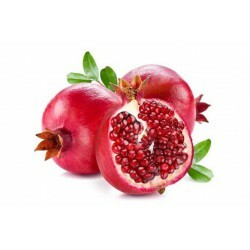 Its flavor is different from other citrus, resembling that of cherries or raspberries. High amount of vitamin C. It improves the functioning of your body and renews the dead cells, so the daily consumption of this fruit will serve to maintain your immune system. It is antioxidant. Strengthens your immune system and helps rapid healing. Multivitamin. In addition to vitamin C, the juice of this fruit has beta-carotene, provitamin A, vitamin B1, B2 and B9 (folic acid). Provides fiber and acid. Facilitates digestion, prevents constipation and cleans the entire intestinal tract. It also serves as a depurative and stimulates the functions of the pancreas and liver. It benefits cholesterol and stops inflammatory processes. Thanks to the hesperidin, it helps to increase the good cholesterol and to diminish the bad one. Prevents degenerative diseases. Due to vitamins, minerals and antioxidants, you can prevent diseases such as deafness, vision loss and diabetes. Being the most demanded fruit on the market, oranges are sold in many ways. Thinking about your comfort, we offer our online service, through which you can make orders of any size to different parts of Spain. 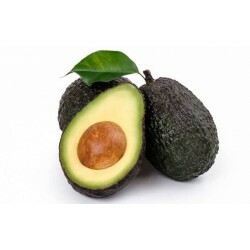 In Naranjass.com we know how important it is to consume quality fruit, so we strive day after day to maintain a good job in preserving its nutritional properties, so they arrive at your home with the greatest amount of benefits. 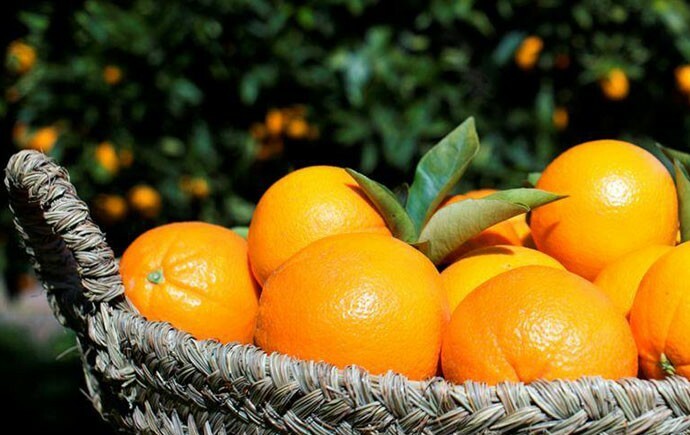 We offer you the possibility to bring to your table the freshest oranges harvested in Valencia in a fast, simple and safe way. Place your order and buy oranges to benefit from their incredible properties!